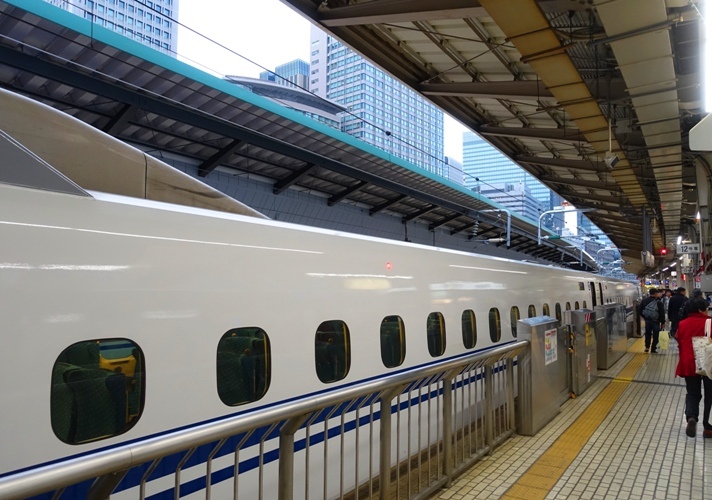 After a busy day in our Tokyo office on Monday I took the Shinkansen to Osaka. 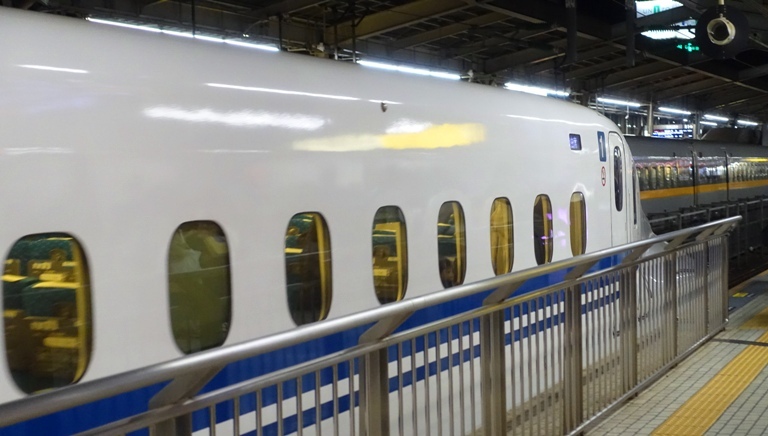 The Shinkansen is probably better know as the Bullet Train, and is a major mode of transportation in Japan. 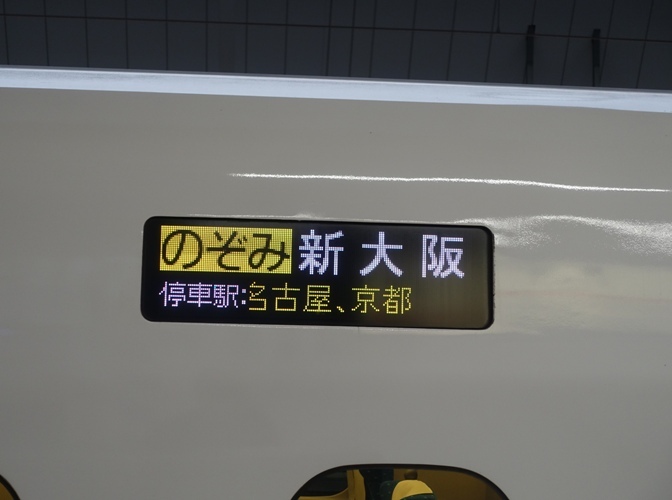 The system connects most major cities of Japan and is much faster than flying. Do I have the right train? I am at the right platform, so it should be. OK, now I feel better, I see my train number and my destination. 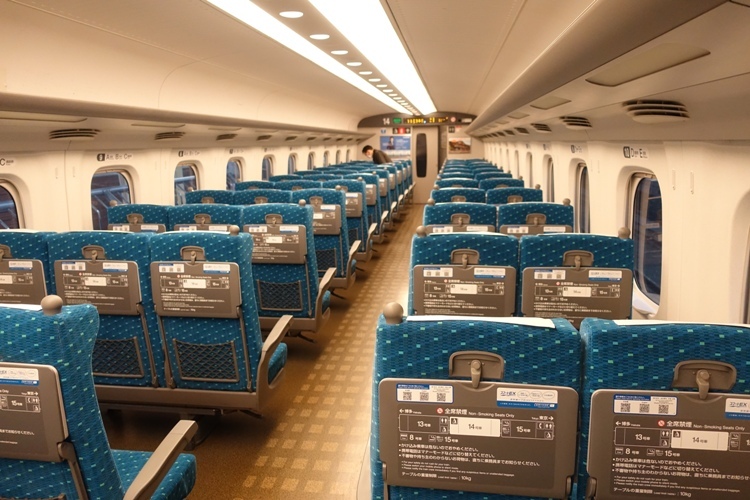 There is plenty of legroom for the 2 hour and 23 minute trip to Osaka. 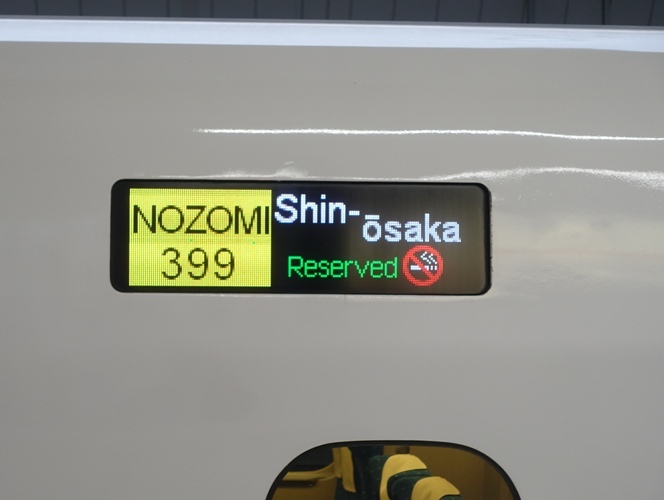 I was on an N700 Series Shinkansen which has a maximum speed of 300 km/h. For Americans, that is 186 mph. The train also tilts so that it can take curves faster. The route between Tokyo and Osaka is very busy and you often hear a train pass in the opposite direction. Two 16 car trains pass by each other in just seconds. I did not get a good shot of the nose of the train, but it is definitely designed to cut through the air. When I arrived in Osaka I then had to figure out how to get to my hotel using the subway. Fortunately, it is easy to navigate the subway system as they have good English signage and instructions for the ticket vending machines. I will close out this post with a warning sign that I saw. I am a bit curious as to whether this happened and they made the signs, or whether they just knew that it would be a possibility and were proactive. In any case, I have seen a lot of selfie sticks so far on the trip. 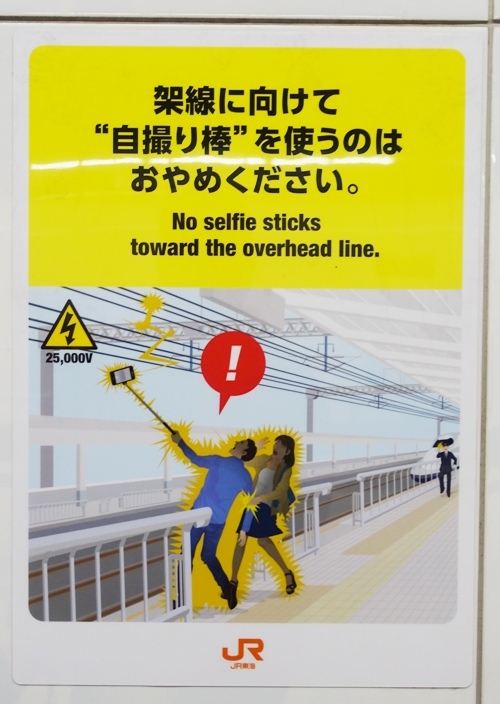 This entry was posted in Culture, Japan, transportation, Travel and tagged high speed rail, Osaka, selfie stick, Shinkansen, Tokyo, train. Bookmark the permalink.